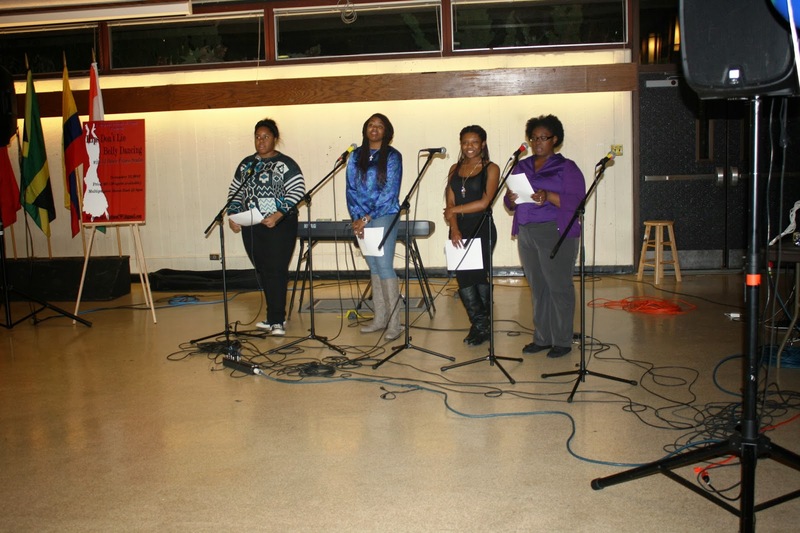 Multicultural Mixer: Collegiate Women of Color recite a Maya Angelou poem. My immediate answer is always: “Its diversity.” Then, I usually explain that in the U.S. you can not only interact with people from very diverse backgrounds (heritage, religious, etc.) but you can also find rich cultural diversity that was developed in the various regions/states of the country. You can also find geographic diversity, diversity in food, diversity in seasons/weather, etc. 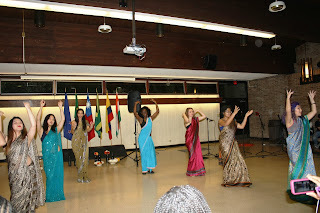 Multicultural Mixer: H*INT performs a Bollywood dance called "Desi Girl." Photo taken by Laura Bellini. 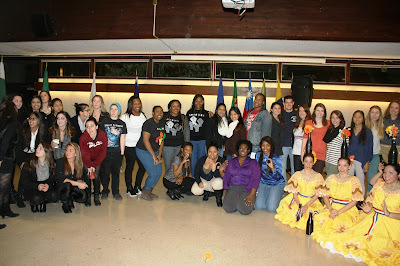 A special thanks to all the Multicultural Mixer participants! 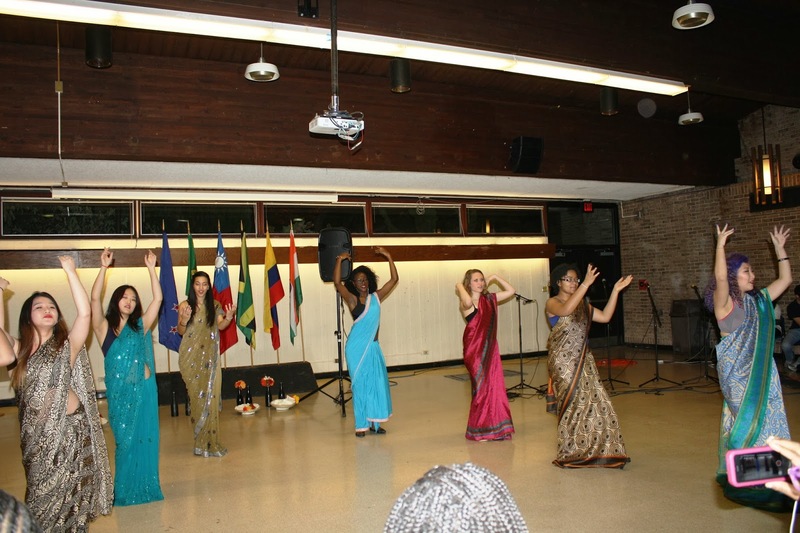 Reflecting on Lisa’s words, I think of our event on Monday, the Multicultural Mixer, where we greeted more than 300 students, faculty, and administrators to taste and smell the diversity of food, watch and listen to the diversity of performance art shared by our students. If one person didn't participate in that event, yes, the event would have not been the same. And I also recognize, that while we had a great turnout for the event, if more people would have participated, the richer the event would have become. Lisa further emphasized in her speech that “Diversity is healthy and it enriches our life.” She talked about how fruits and vegetables have a wide variety of nutrients to keep us healthy and how working out with a varied routine makes us stronger. 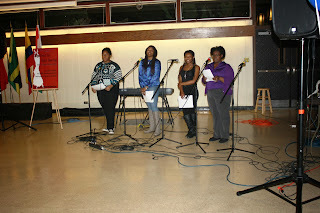 She also talked about how the arts help enhance our lives for celebration, relaxation, and/or community building. We were able to experience this healthy enrichment later on during the reception, after Lisa spoke, when we were able to participate in a drum circle, led by Hofstra alumna, Terry Muldoon. We were able to select the percussion instrument of our choice, and Terry showed us all the unique characteristics that each instrument brought to harmony of sound. Not only did the drum circle enhance the reception’s activities, but is also helped us de-stress and find a rhythm with each other. The final point Lisa emphasized in her speech was that “The more you diversify, the more you become.” As diversity of thought and talent will help continue to help the human race evolve, Lisa encouraged the audience to continue to learn about the unique characteristics everyone brings to the table. She pointed out that seeking to understand will not only expand your comfort zone, but it will bring about immense personal growth. I couldn't agree more. One of the reasons I love my work is that I get to interact with people with such varied backgrounds. Every day I learn something new. Working in a diverse setting is becoming the norm. Just today on the radio, I learned about community spaces where people from various working backgrounds come together to work in the same space, build connections, and enhance ideas. The workforce is changing from the emphasis of individuality toward a more collaborative environment. This change has everything to do with the value of diversity. In the spirit of honoring the diversity at Hofstra, we are calling on members of the Hofstra community to join us in planning our heritage months. We host 6 heritage months throughout the year, and we are looking for your input into these events. If you are interested in participating on any of the planning committees, please email me at Jenn.Christ@hofstra.edu. Please help us embrace the diversity at Hofstra!